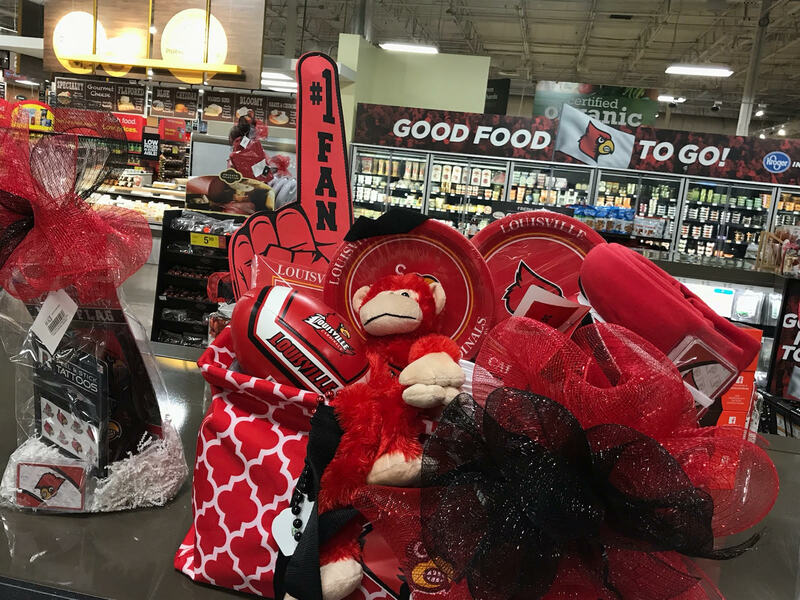 A brand new look and a UofL theme for the renovated and expanded Kroger store at Central Station shopping center at the corner of Central Avenue and Third Street. 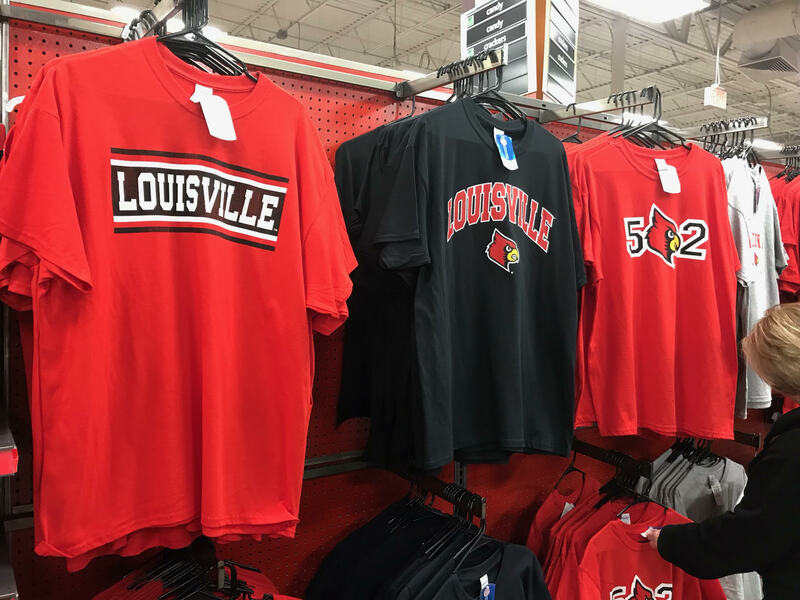 A far cry from the days when one considered himself lucky to find a University of Louisville shirt at Bacon’s. 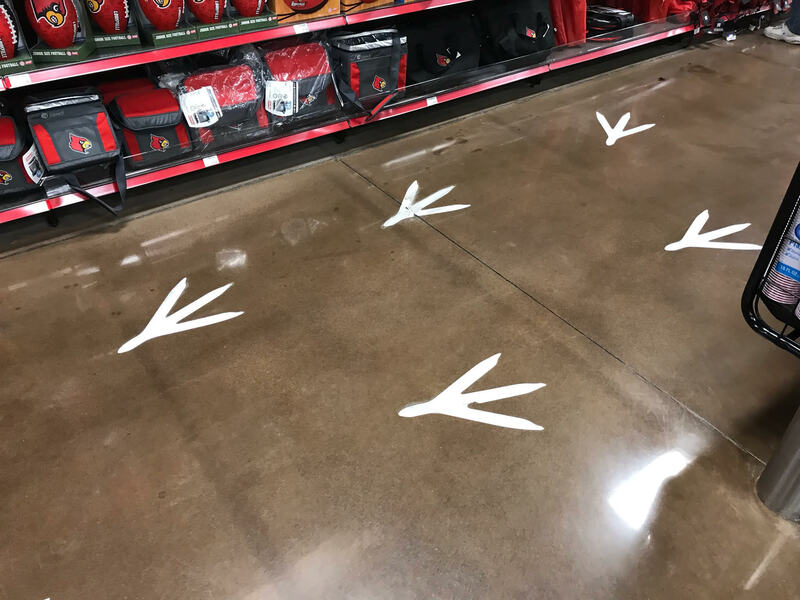 Bird tracks lead shoppers to the Card Wear section. 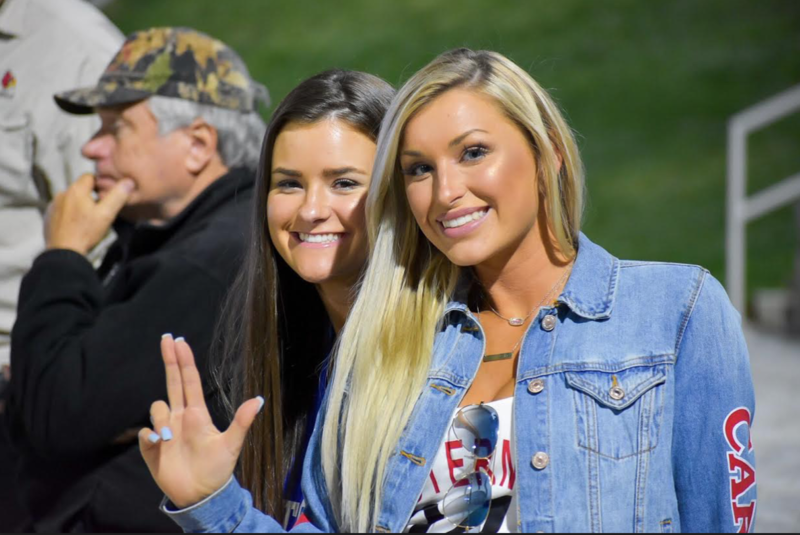 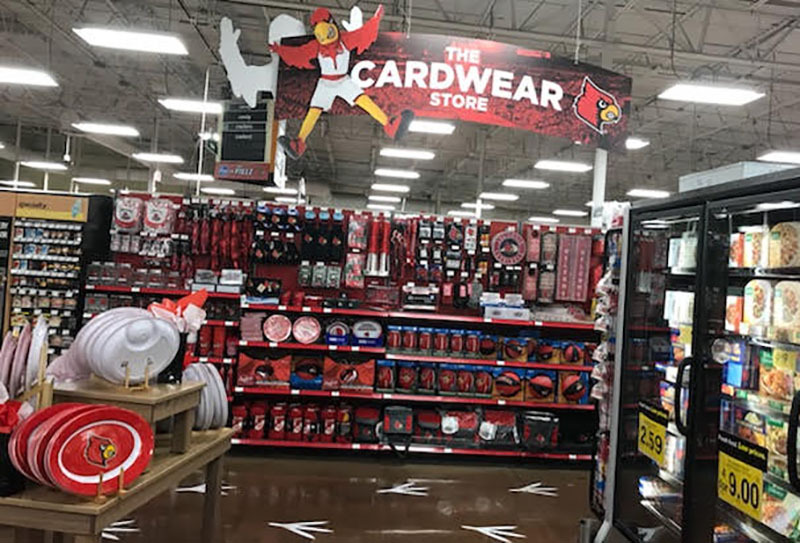 A new shopping mecca was recently unveiled for fans and students in South Louisville, across from Jim Patterson Stadium. 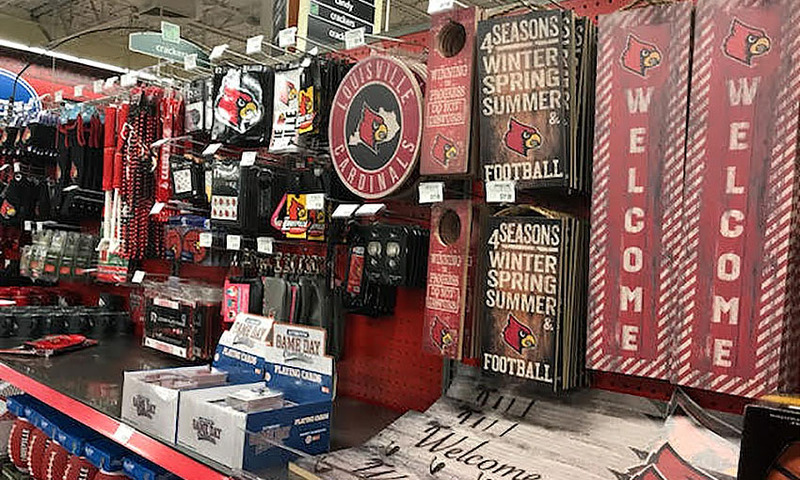 Not totally new, but it’s a major renovation of the Kroger store which features UofL themes throughout the entire facility. 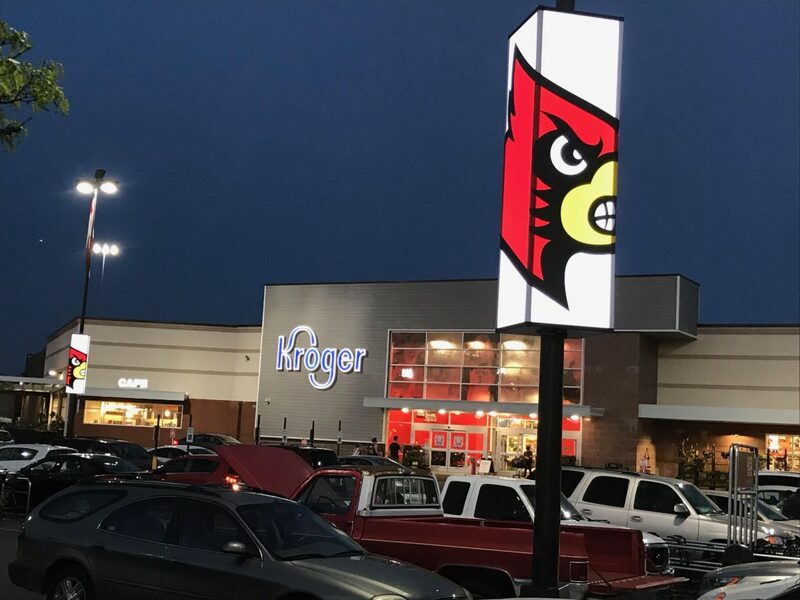 Shoppers are greeted by the Cardinal theme lights in the parking lot at the Central Station Shopping Center. 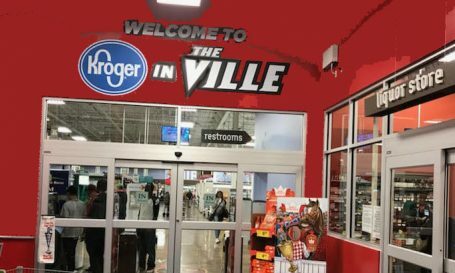 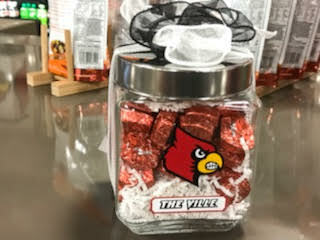 They are greeted by a “Welcome to Kroger In The Ville” at the front door, and an inviting red and black decor throughout the store. 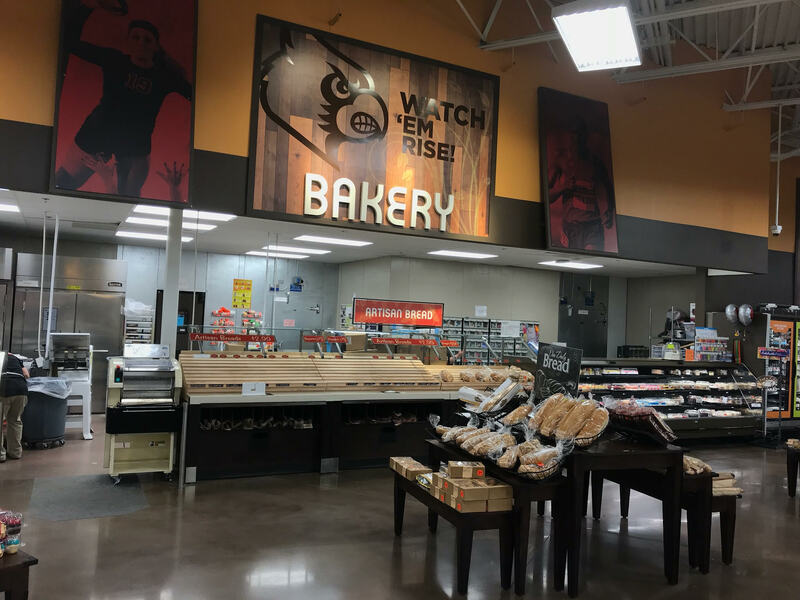 The store reopened a week ago following a one-year $14 million renovation that expanded from 76,000 square feet to 96,000 square feet. 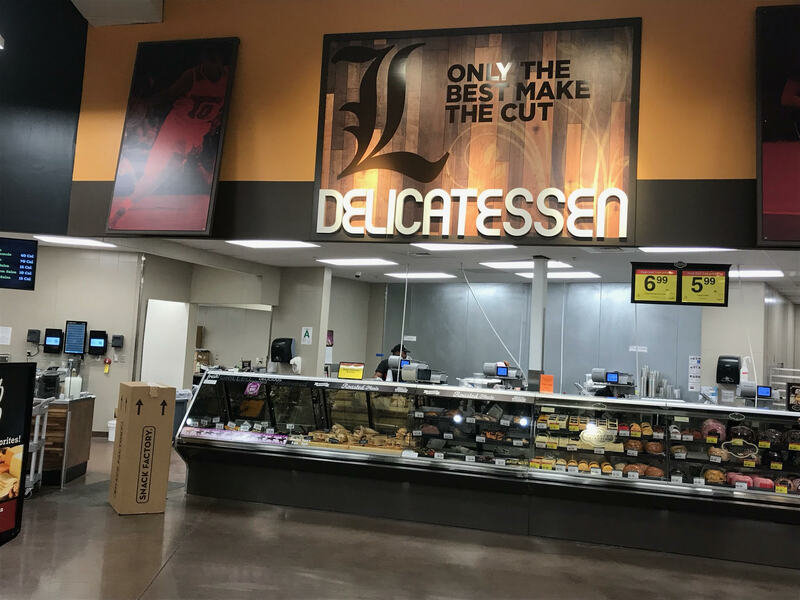 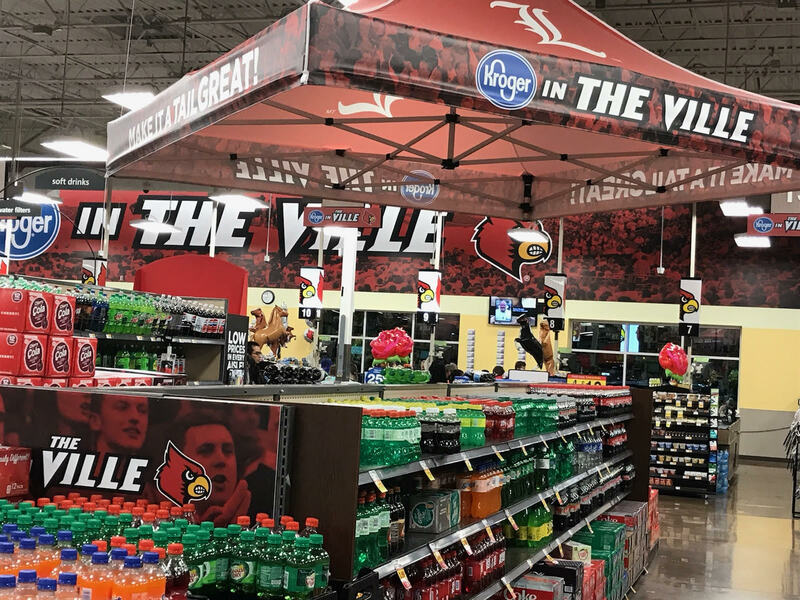 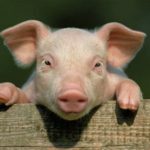 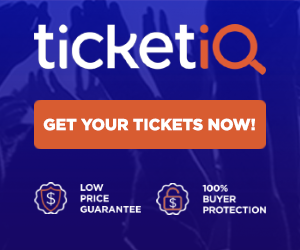 A place any Cardinal fan would be proud of, and it features all of the grocery chain’s latest marketing concepts, including a Starbucks, an Eli’s Barbecue, a Wine and Spirits Shoppe, and a scan-as-you-shop system. 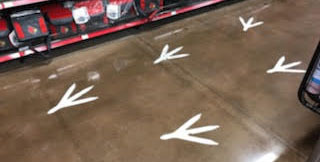 Visitors can follow the bird tracks to get to the Card Wear section, which included a wide array of Cardinal merchandise from shirts to accessories. 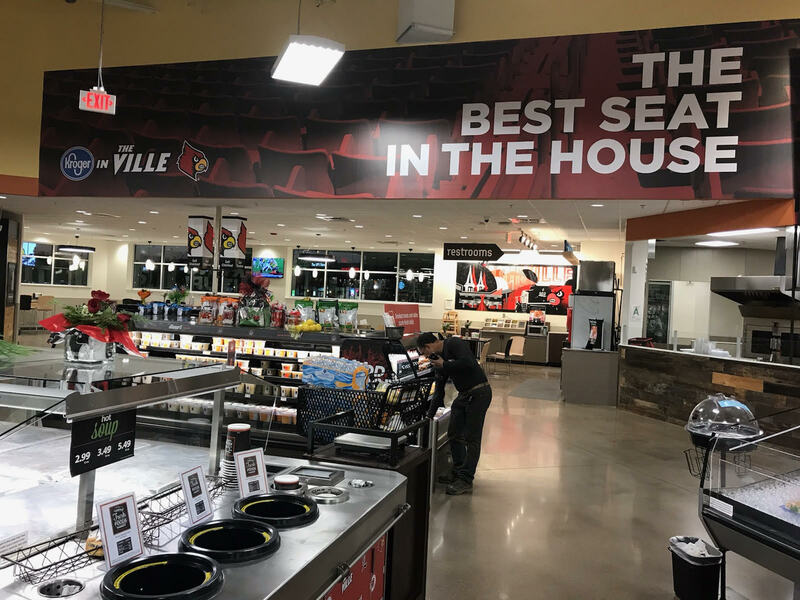 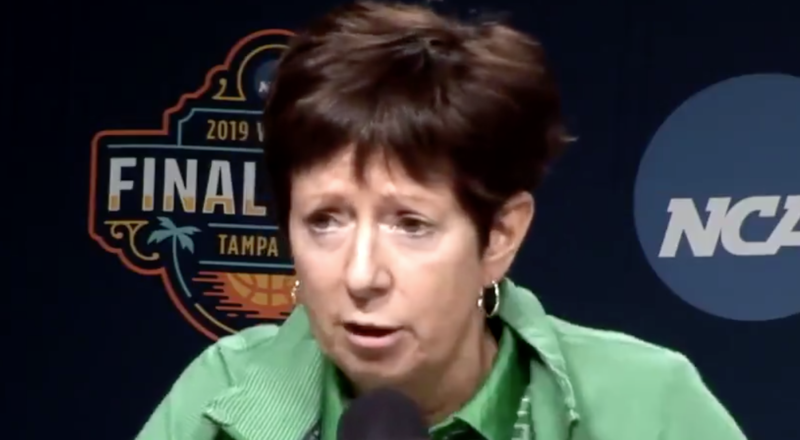 The restaurant, the bakery, the delicatessen were all distinctively marked with UofL signage. 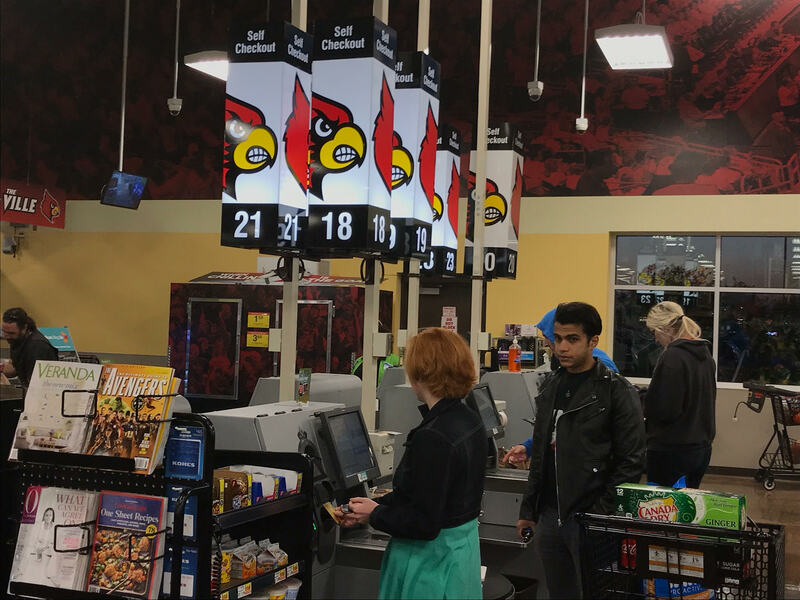 The lights at the checkout counter, the staff and even the trash cans are all wrapped in school pride. A fun destination, a don’t miss attraction for University of Louisville fans. 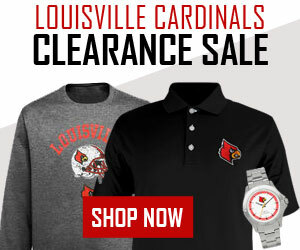 Should be on the must-see list for prospective students and athletes. 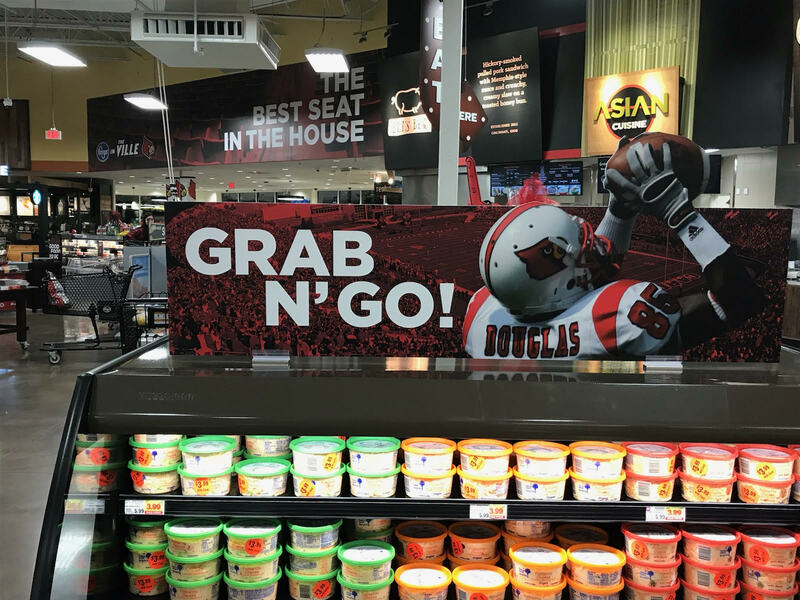 A win-win for Kroger and the community.